Getting inked is something that almost every guy wants to get done, but few have what it takes to go through with it. A tattoo is something that will remain with you for a long time and which is why when it comes to selecting the right style for a brand new tattoo, it is important to know how to talk the talk before just walking into a shop and requesting some flash off the wall. Like any other art form, tattooing comes in many different styles. Depending on your taste and reasons for getting inked, you should choose a tattoo style that best fits you. Here are a few of the famous styles that you could consider before getting inked. One of the oldest forms of tattooing originates in Polynesian cultures. A spiritual art form practiced on islands like New Zealand, Hawaii and Samoa, tattoos were used to tell the story of a person’s life with geometric symbols and patterns that had specific meanings. Black ink was applied in thick, dark patterns that often covered large portions of the body, and the process itself of getting tattooed was a sacred and spiritual undertaking – as well as painful. Many Polynesians today honour their culture by getting tattoos in the traditional designs of their ancestors, and sometimes even with the traditional tools. Over the course of the 19th century, the style became more refined taking on the boldly lined and brightly colored aesthetic The Polynesian style has also become popular in Western cultures – often called “tribal” – though these modern interpretations are usually applied with a tattoo gun. Though classic realism has been a part of the fine art since as far back as the Renaissance, it only found its way to the world of tattoos recently, cropping up around the latter half of the 20th century. Since then, the style has become increasingly refined and extremely popular. As it now stands, you can find jaw-dropping color and black and grey portraits of pretty much any celebrity you can think of as well as realistic depictions of nature and just about anything else imaginable, even the surreal. The Japanese have been getting tattoos since 10,000 BC, but the traditional Irezumi style, as it is known today, developed around the Yayoi period (300 BC -300 AD). The artwork is always large in scale (often covering the entire arm, back or whole body) and rich in colourful detail. There are rigid rules that traditional Japanese tattoo artists must follow, such as tattooing depictions of Buddha above the waist only (below would be disrespectful) and pairing certain animals with certain flowers. Tattoos in Japan are still a bit taboo, as they are often associated with the yakuza (Japan’s dangerous mafia), but nevertheless, the Irezumi style is growing in popularity among Westerners. The development of traditional tattooing is often credited to the legendary Sailor Jerry (real name Norman Collins), who learned from Japanese artists and introduced his own American viewpoint to the artform. Common themes are nautical symbols, hearts, eagles, daggers and roses. This is the style proudly worn by the original counterculture rebels. If old school is the regal grandfather of tattoos, then new school is the rebellious wild teenager. Depending on who you ask, this modern tattooing style started up in the 1970s, ‘80s and/or ‘90s. Though heavy outlining is borrowed from the older traditional tattooing, new school constitutes a huge departure from its roots. New-school tattooers employ vibrant, in-your-face colours and are not limited to the themes of traditional genres; subjects are often drawn in a cartoon or graffiti style, with exaggerated proportions and playful design. This style also saw tattoo artists become more open to sharing their techniques with one another to promote progression in the art form. No matter which style you opt out of the endless options available, you need to make sure that you are taking good care of that bad boy on your body as getting a tattoo is one thing and taking care of it is another. 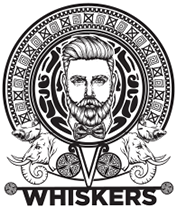 With Whiskers you can be sure that your tattoo aftercare is in safe hands.